Bullying is a pervasive problem for U.S. kids. 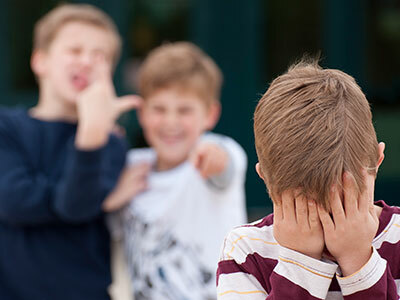 Recent studies show that between one in four to one in three children have been bullied at school. About one in 10 are victimized regularly. Research suggests that this isn’t just harmless “kids being kids” behavior, says Marissa Smith, Ph.D., a postdoctoral fellow in behavioral pain medicine at Children’s National Health System. 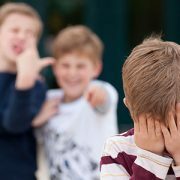 Bullied children have a greater risk of experiencing overall negative academic outcomes, such as greater school avoidance, decreased classroom engagement and lower academic achievement than children who aren’t bullied. 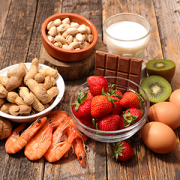 They also suffer emotionally, with more depression, anxiety and withdrawal, as well as suffering physically, reporting more headaches, stomachaches and sleep difficulties. In response to these harmful consequences, researchers in Finland in 2009 developed the KiVa Anti-Bullying Program. This school-based program combats bullying through a series of teacher-led lessons provided to students throughout the academic year that aim to shift the entire school’s ethos. Research in Finland demonstrating the success of KiVa has encouraged school systems around the world to pilot and evaluate the KiVa program in their schools. However, Smith cautions, differing school cultures could lead to differing results. To see how implementing KiVa might differ in an American setting, Smith and colleagues helped fourth- and fifth-grade teachers at nine elementary schools in one Delaware school district roll out the program to 1,409 students during the 2013 to 2014 school year. Each teacher completed a three-hour training course at the beginning of the year – already a drastic cut from the two full days of training that is standard in Finland – due to competing demands on American teachers’ professional development time. Delaware teachers also completed questionnaires at the start of the year about variables that might affect how well they would be able to implement the program, such as their level of professional burnout, perceived principal support, self-efficacy at teaching and perceived feasibility and efficacy of KiVa. Students completed questionnaires at the beginning and end of the academic year that measured levels of victimization and bullying. Once a month, teachers were to give their classes standard KiVa lessons. To track what they actually completed, teachers answered online questionnaires. They also met with a graduate student once monthly to learn tips about implementing the program. Results published online Aug. 29, 2017 in Journal of School Psychology by Smith and co-authors showed that this program accomplished its goals of significantly reducing bullying and victimization by the end of the year. Precisely how successful these measures were hinged on what instructional “dose” of the program students received, Smith says. On average, teachers provided only half of the activities that were intended to be included in each lesson. They also gave an average of 7.8 KiVa lessons out of a possible total of 10. When Smith and colleagues assessed which teacher variables correlated with a reduction in KiVa instruction, professional burnout had the highest impact. It’s hard to say what leads teachers to experience burnout; however, Smith explains, it might be an overall symptom of U.S. teaching culture. Each of these differences, Smith adds, could contribute to KiVa not being as effective in the United States as it is in Finland. One way to improve the success of this program in the United States, the study notes, might be to distill KiVa’s tenets to the bare minimum necessary to maintain positive outcomes, allowing more efficient lessons. Additionally, outsourcing lessons to guidance counselors or other school staff versed in social and emotional topics might ease teachers’ workloads.